Travel to the Land of the Rising Sun! Get to know Japan in Hokusai's day as you colour in fans, tigers, flowers, Samurai warriors and archers. This fun and educational book introduces children to the art of Hokusai, using many outline drawings to colour in, based on his pictures. Get your pens out and step into an amazing world of pugs, sea monkeys, killer cakes and more, for a whole host of drawing and creative writing adventures and fun with your expert guides, Philip Reeve and Sarah McIntyre! Mighty Marvel Posters has 28 powerful posters to colour. Just colour, remove and hang on your wall! 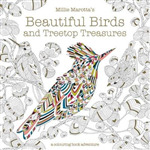 The Great Big Search and Find Activity Book: Over 500 things to find, colour and spot! 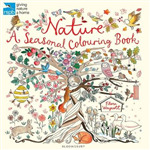 This action-packed activity book is crammed full of things to find, amazing scenes to colour, and spot-the difference puzzles. Featuring a wide range of topics, from dinosaurs to the solar system, and with fun facts to discover throughout, this book is guaranteed to keep children entertained. The Book of Me is a beautiful, interactive journal, perfect for children to fill in and complete to create a lasting record of exactly who they are. 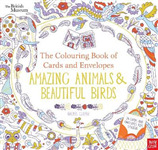 Get creative with this amazingly innovative colouring book, full of beautifully designed cards and envelopes to tear out and colour.